Suspects wanted in series of high-end thefts at King of Prussia Mall. 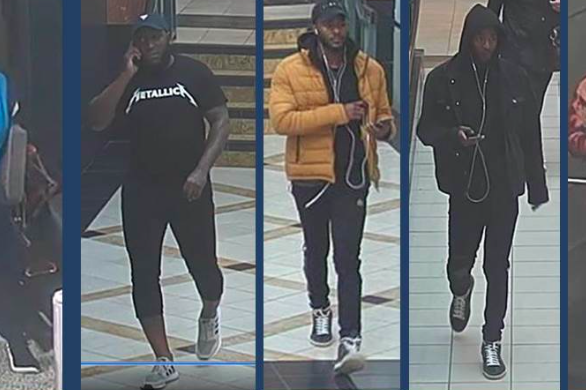 Authorities in Upper Merion Township are seeking assistance from the public to identify five suspects believed to be linked to the theft of more than $112,000 in designers bags and purses from the King of Prussia Mall. Investigators said the thefts occurred on three separate dates. The suspects allegedly targeted an undisclosed store or stores on Dec. 13, 2017, April 4 and April 24, 2018. More than 40 bags, each valued up to $5,000, were lifted in a blur and then dashed out to a getaway vehicle, according to 6ABC. Police said a threat of violence was used against a store employee on at least one occasion, meaning the suspects could face charges that escalate from theft to robbery. Anyone with information on the identities of the suspects is asked to contact the Upper Merion Township Police Department at 610-265-3232 or call the anonymous Tip Line at 484-636-3888.